Alexander Graydon was born in 1752 in Bristol, Pennsylvania, the son of Irish immigrant Alexander Graydon and his second wife, Rachel Marks. When the elder Alexander Graydon, a Philadelphia merchant and lawyer, died in 1761, his wife Rachel moved with her children to Philadelphia where she took in boarders to supplement her meager income. Young Alexander attended the Academy of Philadelphia from 1760 until September of 1766 sponsored by Joseph Marks. Graydon was fourteen years of age when he left the Academy and College of Philadelphia to read law with his uncle in Philadelphia and then with another lawyer in York, Pennsylvania. When he first published his memoirs in 1811, Graydon included his memories of his mother’s boarders and of his years at the Academy and College. 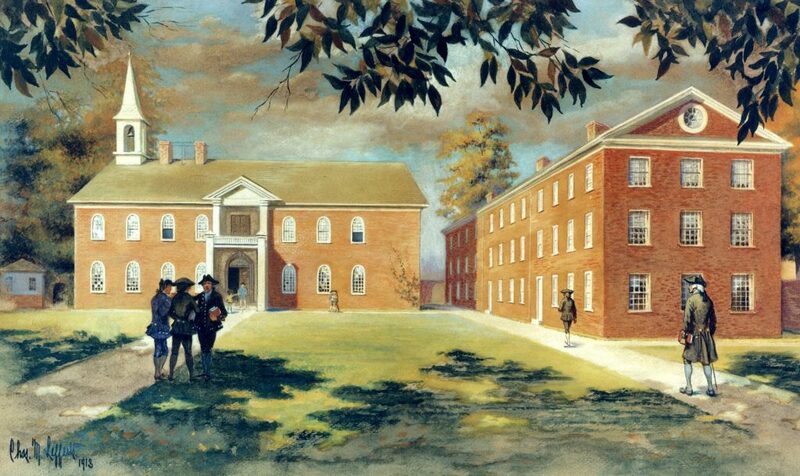 At age twenty-three, Graydon was commissioned as a captain by the Continental Congress in January 1776. After carrying out a mission to General Philip Schuyler at Lake George in May of that year, Graydon resumed his command of the company of men he had recruited and trained. He led this company in the retreat from Long Island and in the Battle of Harlem Heights, where he was taken prisoner by the British in September. After his release, he resumed his legal studies, this time in Reading rather than in Philadelphia. As a Federalist and early supporter of the Constitution, Graydon served as a delegate to the 1790 Pennsylvania state convention. He was elected as a prothonotary of Dauphin County, Pennsylvania, in 1785, an office he held until 1799. During this period he lived in Harrisburg. In 1799 Graydon moved to a small farm near the state capital, living there until 1816 when he moved back to Philadelphia. He was married twice, to a Miss Wood of Berks County and then Theodosia Pettit of Philadelphia; he had no children. Graydon’s 1811 memoir, a chronicle of both his life and the time in which he lived, was republished in 1822, 1828, and 1846.